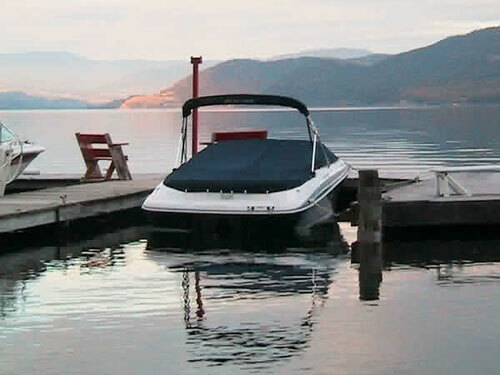 Imagine having the convenience of your own moorage for your boat right in front of your private beach on Okanagan Lake BC. 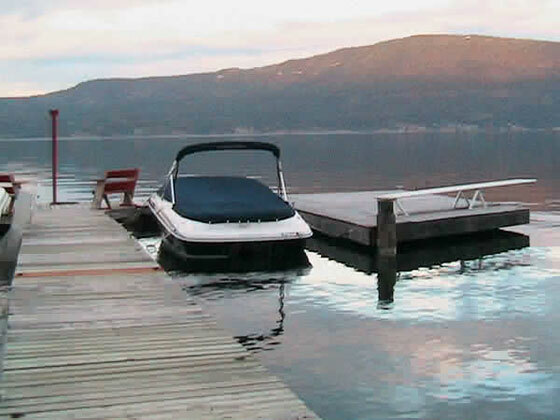 The average water depth in the lake is 14 ft. in the summer at the end of the dock. Also for your enjoyment a 16 ft. long diving board on a huge dock. 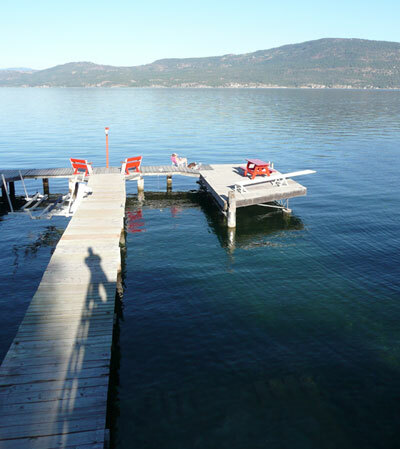 Moorage for this vacation rental on Okanagan Lake BC is 4-point tie-up for boat, 16 ft. from the deck of the dock to the bottom of the lake. 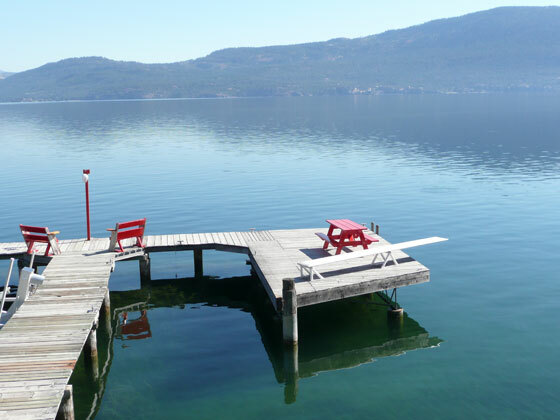 Dock goes out 115 feet from shore to a cozy set of benches with a wrap around slip for your boat with a picnic table and a 16 foot diving board for your enjoyment.